If seven denotes perfection, Edwin McCain’s annual pairing of music and food nailed it this year. With a transformed downtown, including 100 global restaurants plus a whiskey distillery, this city at the hem of the Blue Ridge Mountains radiated flawless Southern hospitality to all who came to sit a spell. 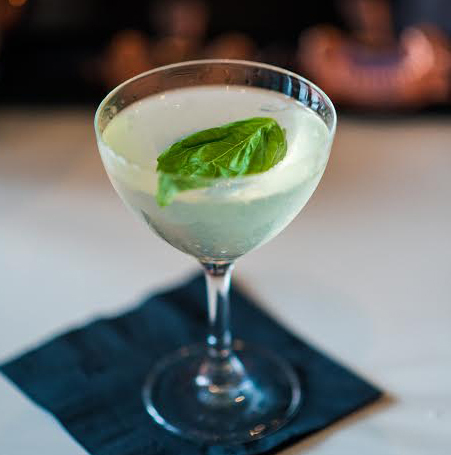 Euphoria and Greenville provided my retreat into the world of soul-stirring music, nonstop cocktails and heavenly eats. 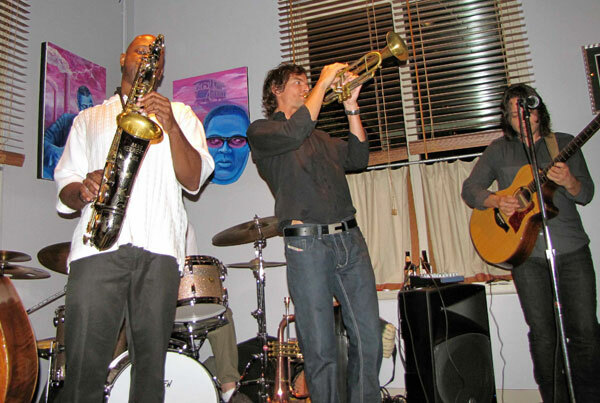 The seduction began Thursday evening at The Bohemian Cafe with euphoria’s newest event, Recipe of a Rhapsody, an intimate look into the world of jazz. Trumpeter Mark Rapp and guitarist Derek Lee Bronston awakened notes of Davis, Coltrane and Ellington while tossing in their own breathtaking improvisations to recognizable melodies. The effortless scatting of Bronston was only trumped by the discovery that neither Rapp nor Bronston had ever played with Phillip Whack, who filled the sax slot for absentee Walter Blanding. Not to disappoint, Blanding connected via phone for a lesson and a tune. 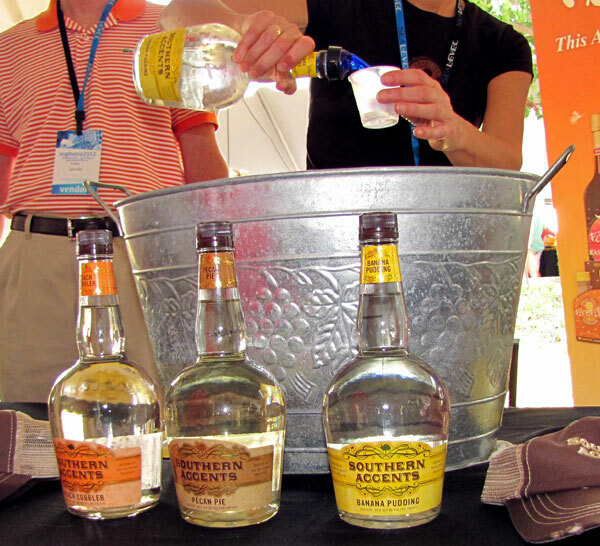 The Friday trademark event, Taste of the South, featured chefs in motion at The Wyche Pavilion. 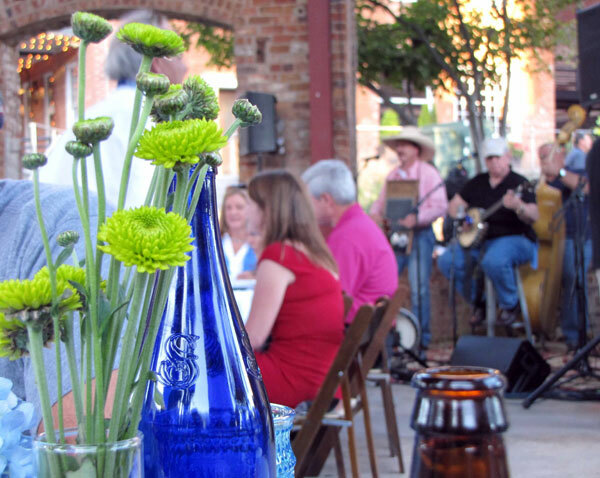 Once home to Sauer mayonnaise, this open-air, weathered brick shell served up the most palatable of South Carolina’s Upcountry foods paired with wine and beer – and bourbon, oh my! 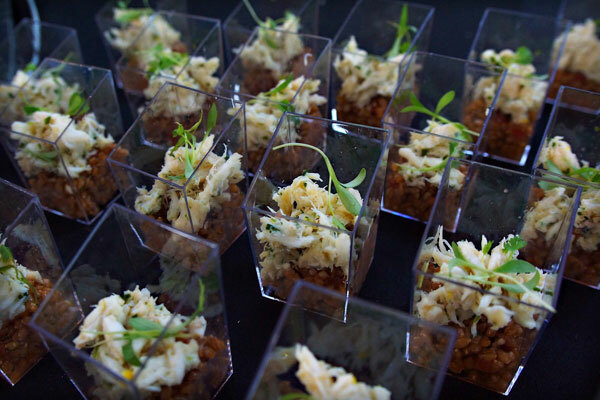 Chefs doled out bite-sized renditions of signature dishes, from Stella’s Southern Bistro’s Mini Moon Pies and RC Cola Shooters to trendy bacon-threaded desserts like Nose Dive’s Bacon Brownies and High Cotton’s Chocolate Bacon Ganache. 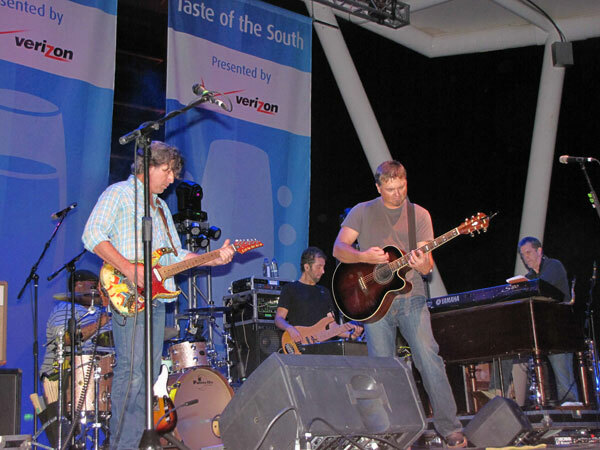 Euphoria co-founder, singer/songwriter and, more importantly, hometown son Edwin McCain, best known for his 1998 song “I’ll Be,” took the hazy blue stage at the adjoining Peace Center and rolled out charismatic love songs in his addictive, raspy voice. Midway through, he couldn’t resist hoisting son, Ben, to the stage to “bust a move” and sharing a brief duet with his 3-year-old daughter, Tiller, who McCain introduced as “the boss of me.” The audience “oohed” and “ahhed,” literally over the moon. At breakfast Saturday morning, foodies and followers experienced a “reflection of what is to come” from executive Chef Brandon Lemieux and the Hyatt Downtown for its forthcoming restaurant, Roost. Building on its “soil to city” concept, Roost will feature local farms and produce in unique handcrafted creations. Southern standards included grits and hominy from local farms like Southeastern Family Farms and Suber Mills. The afternoon walk down Main Street led to Saturday’s Tasting Showcase, where more than 32 wine retailers poured over 250 wines from regional, national and international locations. 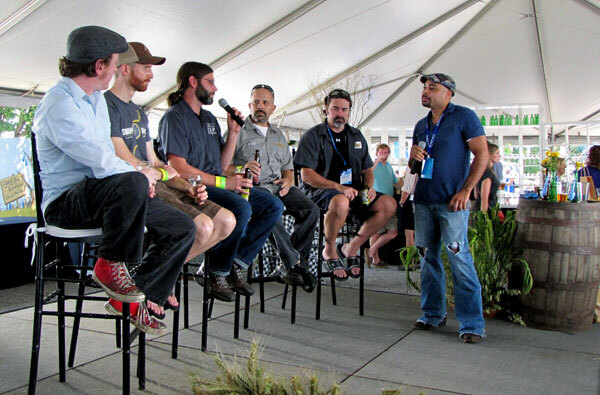 Fifteen beer distributors served 35 brews, many blending fall flavors like pumpkin and pecan. Excitement swelled for the resurgence of craft brews and growler stations, allowing everyone to have “fresh craft beer at home,” according to Ale Sharpton, Atlanta’s brew master. Saturday evening’s Guest Chef Dinner brought a much-needed respite from decision making. I dined at Breakwater with guest chefs David Guas and Linton Hopkins (James Beard Award winner, Best Chef Southeast 2012) who joined host chefs Beth Shaw and Gary Lang to showcase the American South. I chatted with Chef Hopkins and Chef Guas as Hopkins carved paper-thin Virginia ham. I spoke of my North Georgia roots which somehow led to sharing my lack of enthusiasm for sorghum, which Guas urged me to “revisit.” I will, and my roots would be proud. Chef Hopkins introduced the cuisine selections as a “wonderful mixture of traditions, a shared table.” From the Sapelo Island Clams to the Chili Rubbed Duck Breast to the Angus Strip Loin, each region of the South – coast, mountains and plains – served its authentic best. As the festival drew to a close, it was back to the Wyche Pavilion, time to shift into low gear, and gather around the family table and experience the culinary goodness of Blackberry Farm, Terra and High Cotton to notes from the Weasel Creek String Band. The setting seemed more like supper at grandma’s house, organically trimmed with pink Depression glass, weathered stoneware and misty blue hydrangeas. 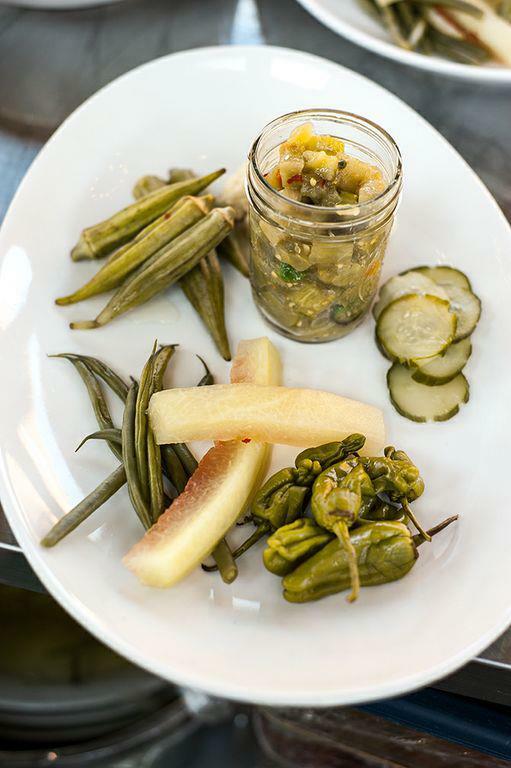 Old Southern favorites like pickled okra, heirloom tomatoes, squash casserole and sweet potatoes maintained that memory as new offerings of cedar-planked wild salmon and New Orleans’ inspired spicy fried chicken became new favorites. An appropriate reposeful ending. I left full and happy, content with my unique experience on cloud nine. 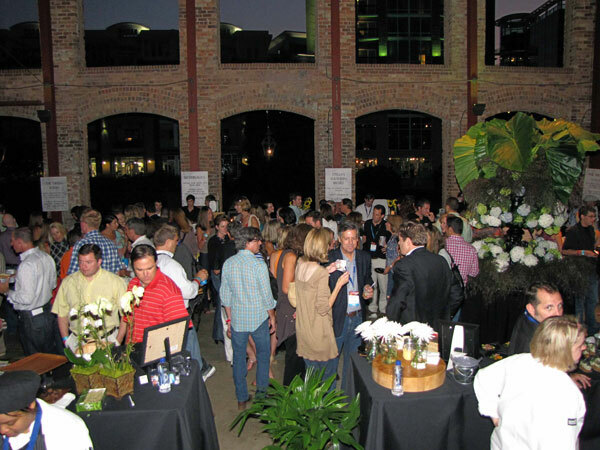 Mark your calendars for September 26-29, 2013, and discover your own happy place and slice of perfection in the heart of downtown Greenville. 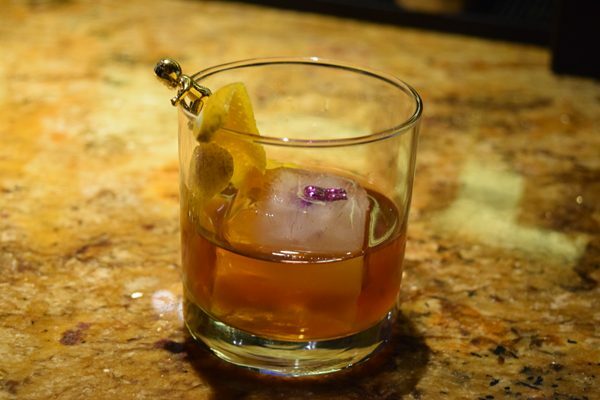 For a second opinion of euphoria, read Hope Philbrick of Getaways for Grownups’ recap. Dissolve salt into water and soak cucumbers in salt water for 24 hours. Drain and reserve. Stir all the ingredients together gently and bring up to a simmer. Turn off heat and ladle into hot sterilized canning jars. Wipe the rim and softly tighten top. Place jars into boiling water, making sure the top is covered and the glass jars are lifted from the bottom of the pot. Boil for 10 minutes, remove the jars from the water and let cool at room temperature. May be eaten immediately, but are best when allowed to age for at least two weeks. Will keep up to a year. Yield is 6 quarts. Cut Challah bread into 1-inch cubes. Whisk together eggs and heavy cream until smooth texture. Add sugar, cinnamon and star anise then whisk. Refrigerate mixture overnight. Strain, then pour egg mixture over bread and gently mix so all the bread soaks up egg mixture. Add raisins. Bake in 350-degree oven for 45 minutes, until golden brown. 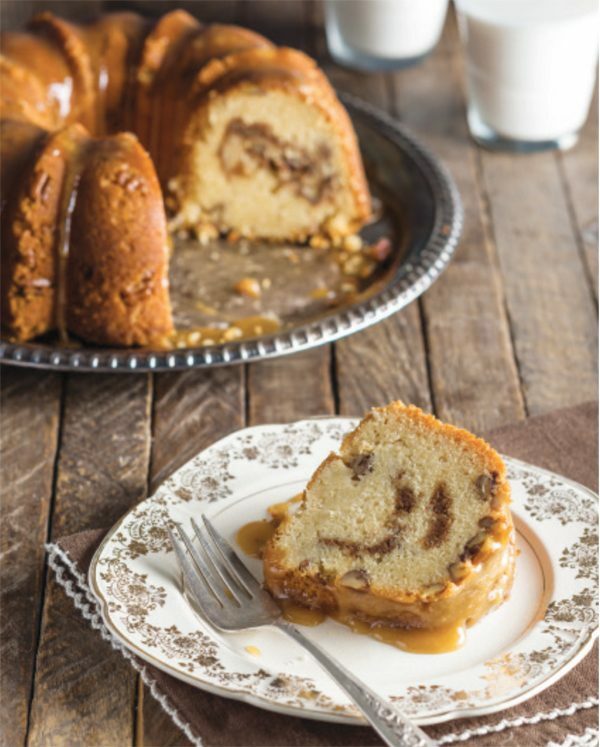 Top with sliced bananas, drizzle caramel over top and sprinkle a little salt. In a medium sauce pot, melt butter. Add squash, red pepper, onion and jalapeno. Saute for 5 minutes. Add sausage, beans, garlic and Creole seasoning. Simmer 5 minutes. Add stock and salt, season to taste. Simmer 30 minutes. For the topping, saute the blue crab in butter with a pinch of parsley, lemon and salt and pepper to taste. Click here for more recipes from euphoria 2012. Photo Credits: All photos by Judy Garrison/Full Circle Photography, except second to last pic by Stephen Stinson and pickled plate courtesy of Euphoria. Euphoria and the Taste of the South sound wonderful, especially the bacon brownies! I’m so glad communities throughout the South are celebrating their persona with festivals of all shapes and sizes. Thanks for the article and photos! Thanks for the support and mentions! It was an awesome festival this year! Cheers! !